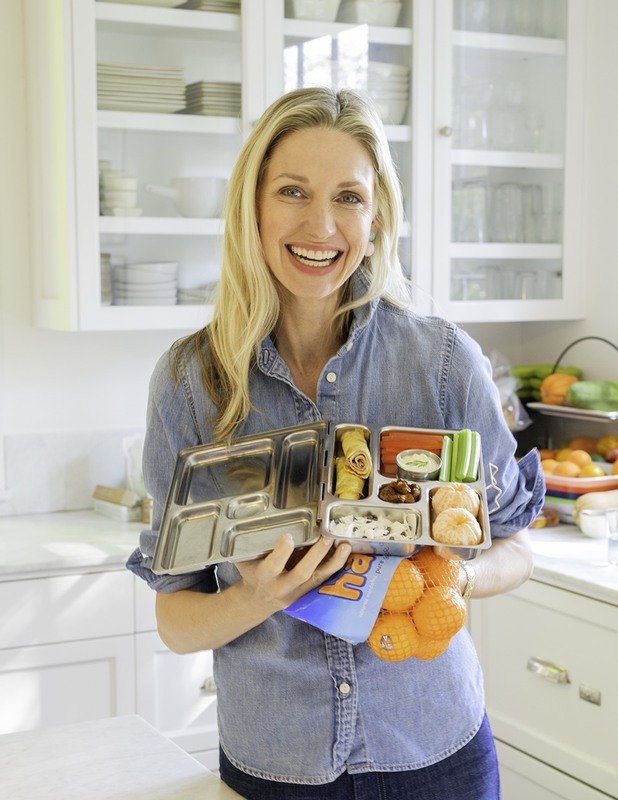 When it comes to packing lunch, choosing easy to prepare foods that pack a ton of nutrition and are easy to pick up are key, and this lunch does all that. It’s also entirely dairy-free, though you’d never know it at first glance. It starts with a thin, almost crepe-like omelet, that's rolled up with prosciutto, producing a beautiful swirl when picked up to eat. A must is my kids go-to fruit, vitamin C-packed Wonderful Halos Mandarin. Just yesterday Chloe sat and ate 6 Halos in one sitting. She loves peeling them in creative ways before gobbling them up! 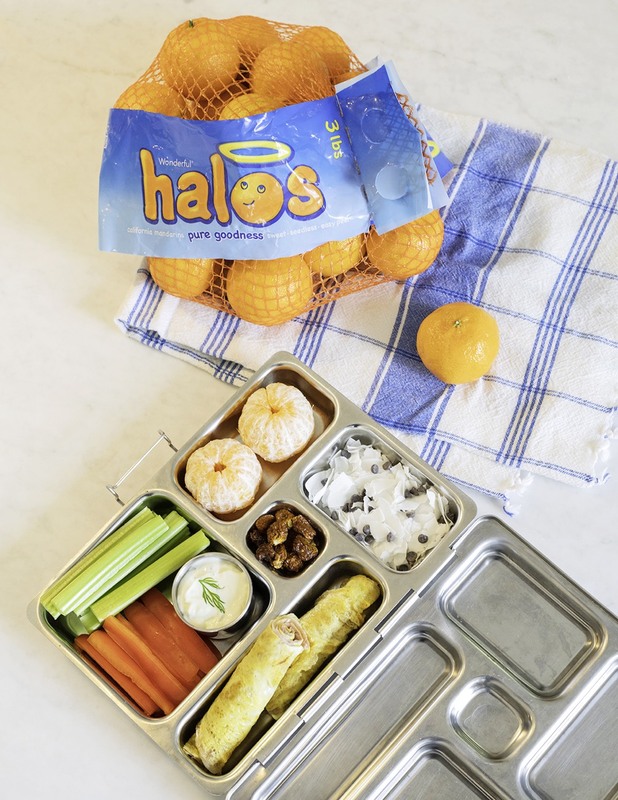 I’m sure that if I sent an entire lunch with Halos in every compartment she would be more than thrilled. Next is a creamy looking dip, made with dairy-free mayonnaise and fresh herbs, and served alongside crunchy vegetables. Unsweetened coconut with dairy free chocolate chips and golden berries round out this easy to make lunch! What are some of your favorite healthy, dairy-free foods? 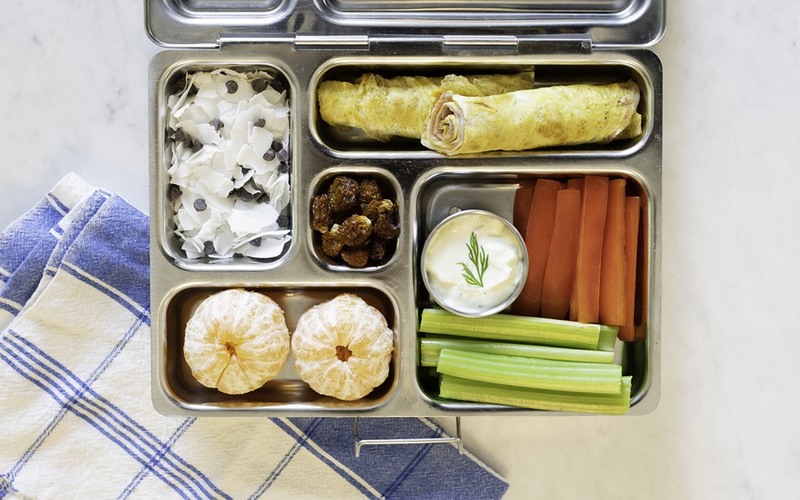 What brand is that lunch tray and how do you like it? Do you have a problem with juices from one dish mingling with others? Hi! I love this website and follow constantly for my 2.5 year old! One question, though I have so many. Where did you get the lunch box and what is it called? I've been looking for it, but can't find it! Thank you! !